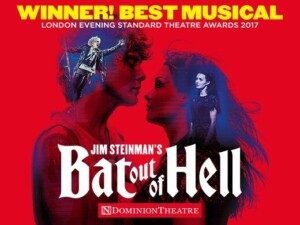 Hear the revving throttle of Jim Steinman’s new musical Bat Out of Hell with ticket and hotel breaks? Not any longer! When eternally young Strat falls in love with Raven, he must battle her father, the wicked and tyrannical Falco, to resue her from the palace towers. 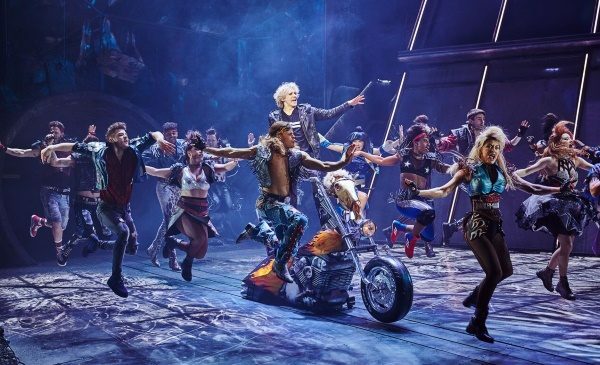 This breathtaking new musical featured 17 of larger than life singer Meat Loaf’s greatest hits including I’d Do Anything for Love, Parafdise by the Dashboard, You Took the Words Right Out of My Mouth, Dead Ringer for Love and, of course, Bat Out of Hell, plus three new Jim Steinman originals written specially for the show.